The Shallmo Wash Trail is located in McDowell Mountain Regional Park. 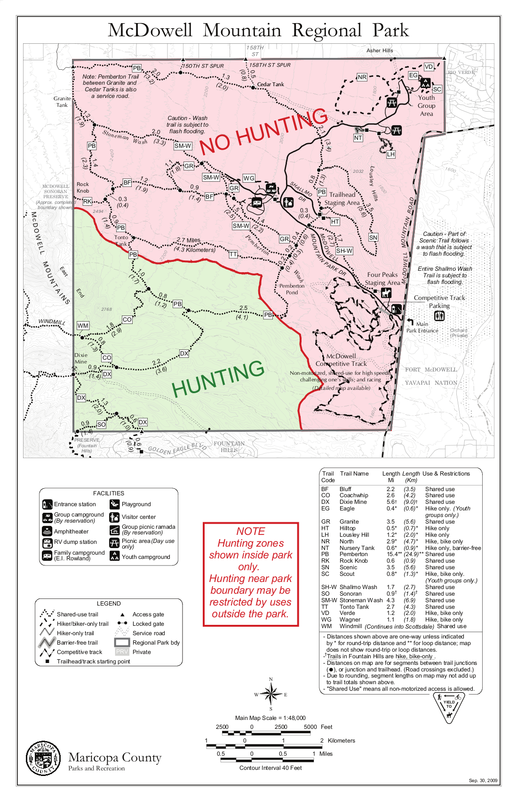 At it's southeast end, it is accessed from the Four Peaks / Horse Staging Area. This is a gravel / dirt parking lot which may be accessed via the first driveway to the right encountered after passing the Park's entry station. The start of the trail is found at the northwest corner of the parking lot. The Shallmo Wash trail runs mostly north, but also somewhat west terminating at its intersection with the Pemberton Trail. As such, it serves as a convenient connector with the Pemberton, allowing for longer hikes (or rides) along with the possibility of making a loop. Despite it's name, it is a hard-packed trail, not a wash - though it does follow a bank of Shallmo Wash for much of its length. 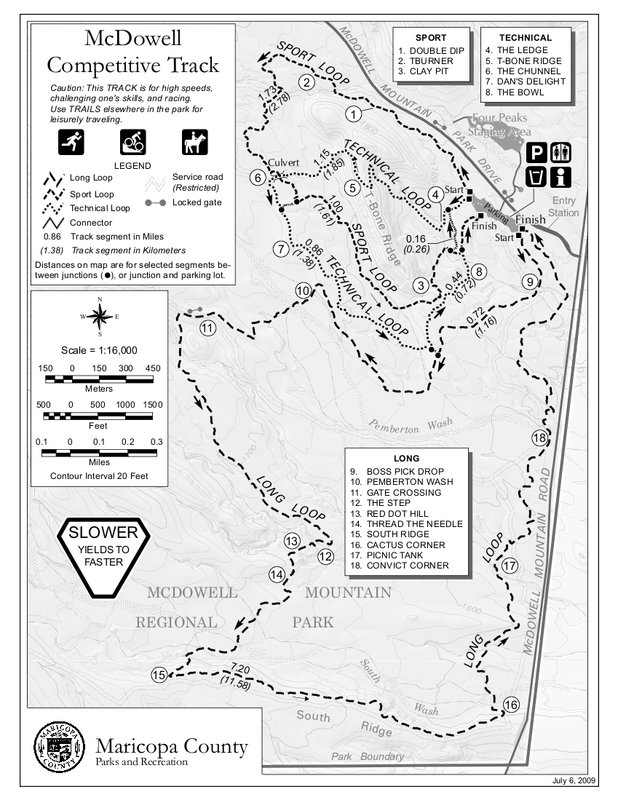 The Shallmo Wash Trail may be hiked as an out-and-back, or it may be incorporated into a loop. 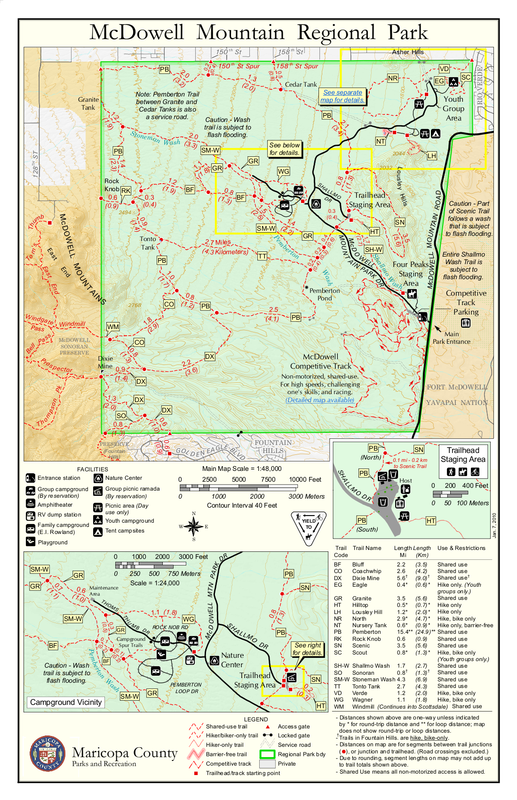 The shortest possible loop is to hike northwest on Shallmo Wash Trail, northeast on Pemberton, west and then mostly south on Scenic, south on Cinch, and then return by hiking west on Escondido. Total distance for this loop is 4.1 miles. A somewhat longer loop - about six miles in length - may be made by following the directions above, but continuing on Pemberton past the first turnoff onto the Scenic Trail and then taking the second turnoff (to the right) instead. 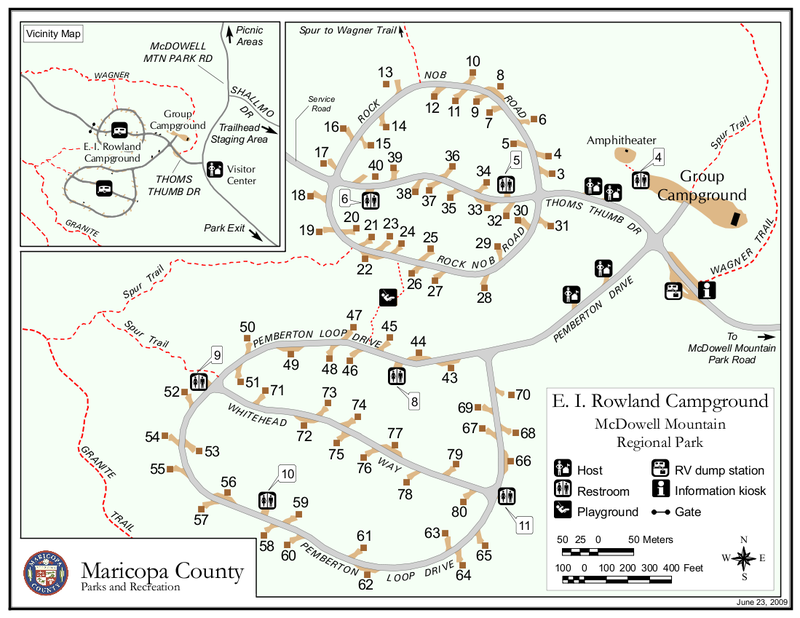 An even longer loop - nearly ten miles in length - may be formed by hiking Shallmo Wash, turning right on Pemberton, and then turning right again on Escondido. 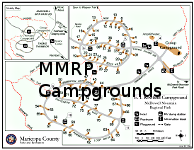 Even longer loops are possible by instead turning left on Pemberton after hiking Shallmo Wash.